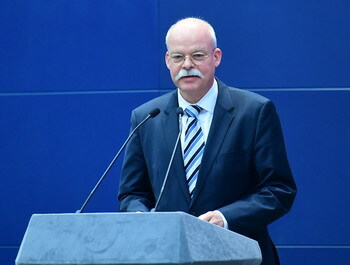 On February 25, 2019, the Ministry of Foreign Affairs held the 17th promotion event presenting Chinese provinces, autonomous regions and municipalities under the theme "China in the New Era: Shanxi, New Transformation for a Shared New Future" at the Blue Hall of the Ministry. State Councilor and Foreign Minister Wang Yi delivered a speech. Secretary of Shanxi Provincial Committee of the Communist Party of China (CPC) Luo Huining addressed the event, and Governor of the People's Government of Shanxi Province Lou Yangsheng gave the presentation. More than 500 people including Secretary of the CPC Committee of the Ministry of Foreign Affairs Qi Yu, Vice Foreign Minister Le Yucheng, Vice Foreign Minister Zhang Hanhui, diplomatic envoys in China from over 130 countries, representatives from international organizations in China, delegates from industrial and commercial sectors, Chinese and foreign experts, scholars as well as journalists attended the event. 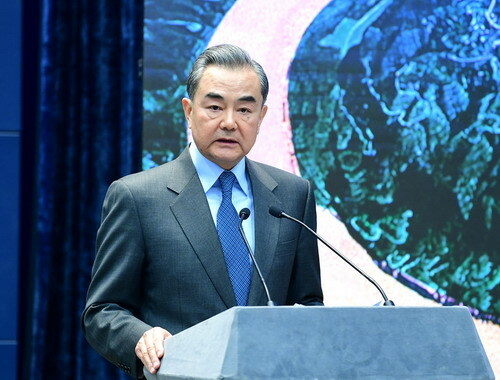 Wang Yi noted that 2019 marks the 70th anniversary of the founding of the People's Republic of China. Over the past 70 years, the CPC has led the Chinese people to unite as one and struggle arduously, making splendid achievements in national development and construction. 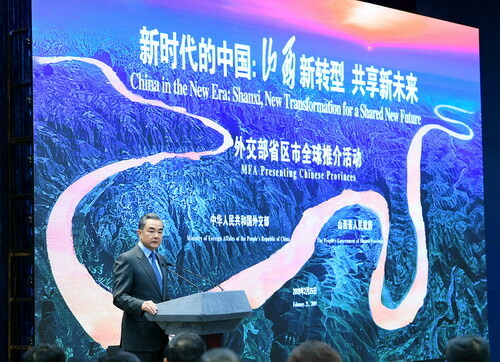 Therefore, the promotion event of the Ministry of Foreign Affairs in 2019 will focus on the theme "China in the new era: 70 years of achievements. Today's promotion event is the opening one and the province to be presented is Shanxi. Wang Yi expressed that Shanxi boasts a long history, rich resources and brilliant culture. Since the 18th CPC National Congress, Shanxi has advanced with the times and embarked on a new journey of transformation and development. 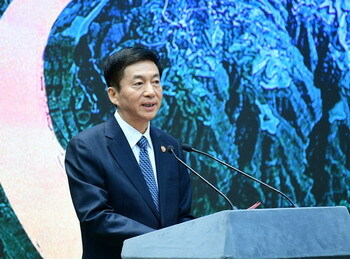 Under the personal care of General Secretary Xi Jinping, the CPC Shanxi Provincial Committee and the People's Government of Shanxi Province have the resolve to make painful self-adjustments to promote green transformation, establish emerging industry clusters and form a modern industry system supported by multiple pillars. Shanxi, a place with a long history and also known as Sanjin, is now brimming with vitality and shows bright prospects. 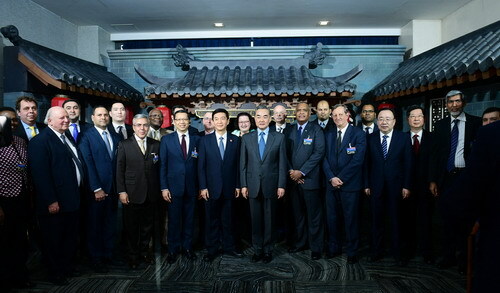 Wang Yi stressed that in 2019, China will continuously deepen reform, expand opening up and march forward with various countries. In April, we will hold the second Belt and Road Forum for International Cooperation in Beijing. This will be the most important home-field diplomatic event of China in 2019, and a crucial mark as the joint construction of the Belt and Road Initiative enters a new phase. 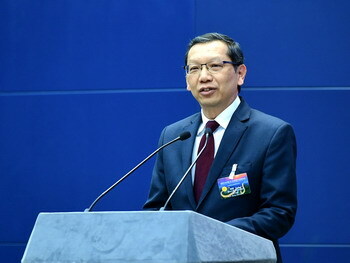 We will, in line with the spirit of extensive consultation, joint contribution and shared benefits, further build consensus with various sides, clearly set the course and expand achievements, so as to push the joint construction of the Belt and Road Initiative to advance with higher quality, standard and at a higher level. 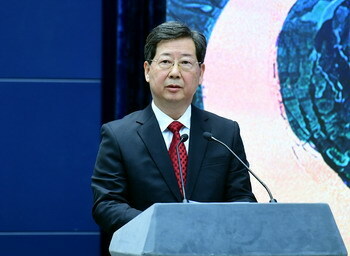 Luo Huining expressed that in recent years, Shanxi's new transformation has achieved robust progress with positive results. The major goal of Shanxi's new transformation is to build a national demonstration area of the transformation of resource-based economy, become a pioneer of China's energy revolution, and explore new horizons for opening up as an inland province in accordance with General Secretary Xi Jinping's instructions. Shanxi will further integrate into the construction of the Belt and Road Initiative, and enhance economic exchanges and win-win cooperation with various countries in the world. 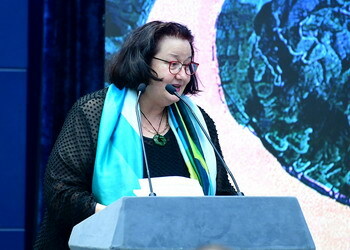 Lou Yangsheng presented Shanxi from such aspects as innovative development, cultural inheritance, green ecology, happiness and people's livelihood, and advantage in opening up, and invited friends from various countries to share the new opportunity of transformation and development and embrace the new future of opening up and cooperation. 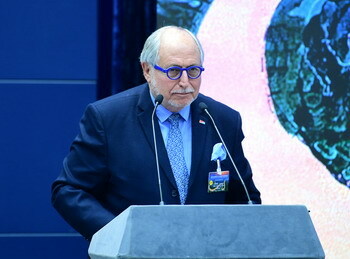 Thai Ambassador to China Piriya Khempon, German Ambassador to China Clemens von Goetze, Ambassador of New Zealand to China Clare Fearnley, and Argentine Ambassador to China Diego Ramiro Guelar respectively introduced the cooperation situation of their respective countries with Shanxi, and expressed that they were deeply impressed by Shanxi's rich historical and cultural heritage as well as its innovative development in recent years. They also expressed the willingness to learn from each other's development experience with Shanxi, and continue to actively promote exchanges and cooperation between their respective countries and Shanxi in economy, trade, investment, agriculture, culture and sports.